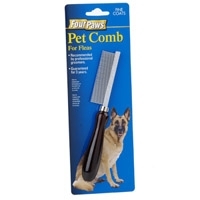 The Grip Soft Flea Comb Small is a small comb with finger fitting contours to increase control and comfort. 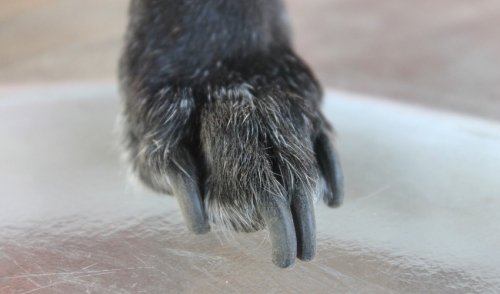 The row of tiny tight teeth give the user the ability to lift out fleas and their eggs out of any type of coat. 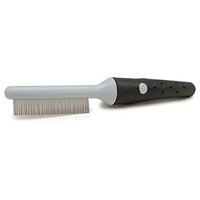 The entire Small Flea Comb fits into the palm of the hand. 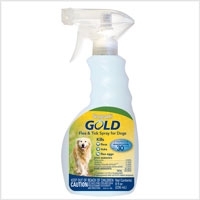 Sergeant’s Gold® Flea and Tick Spray for Dogs, is a fast-acting formula that kills adult fleas and ticks on contact. 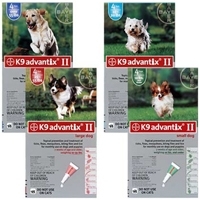 It is a long-lasting IGR, Insect Growth Regulator, that hinders the development of the immature fleas for 100 days. 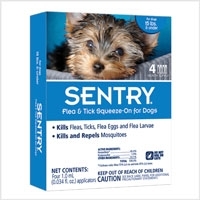 SENTRY® Natural Defense Natural Flea and Tick Spray for dogs and puppies kills and repels fleas and ticks, yet it’s safe to use on your dog or puppy and around your family when applied as directed. 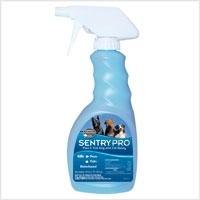 Each easy-to-use pump spray features natural active ingredients such as peppermint oil, cinnamon oil, lemon grass oil, thyme oil and eugenol. 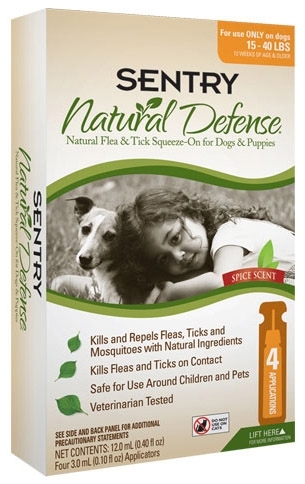 SENTRY® Natural Defense Household Spray kills fleas, ants, flour beetles and spiders. 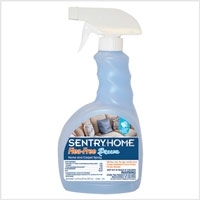 This easy-to-use spray may be used around food, humans and pets. 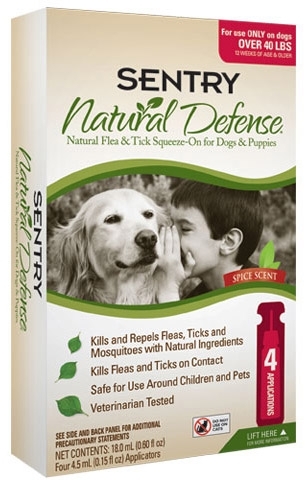 This natural formula is made with pure orange peel extract. 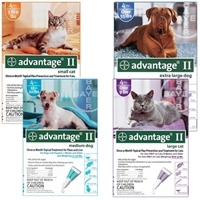 Spray in areas and entrances where pets come and go. 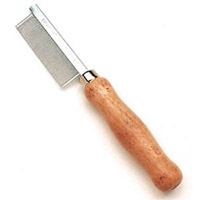 This is available in a convenient 12 oz. 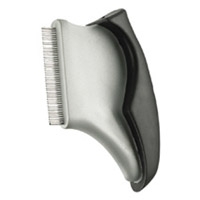 aerosol can to treat those hard to reach areas. 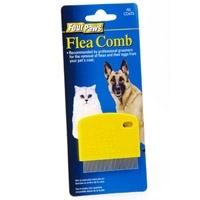 Recommended by professional groomers and handlers for the removal of fleas and larvae from your pet's coat. 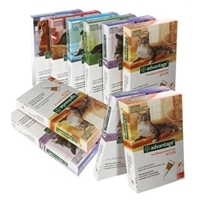 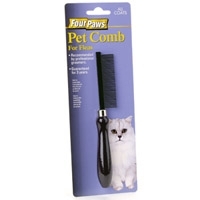 Recommended by professional groomers for flea removal on cats. 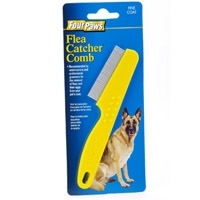 This extra fine flea comb is recommended by professional groomers for flea removal on fine coats.